Fascinating….I wonder, what would you recommend for a nursery or daycare? My husband’s aunt is considering a blog to advertise her services, and he suggested the “Calm Business” theme. How about a butcher shop? Calm Business sounds like a great recommendation for a nursery or daycare! Do you intend to launch blogging / magazine themes for the new block editor? Yes! Most recently we’ve launched Photos and Twenty Nineteen on WordPress.com. 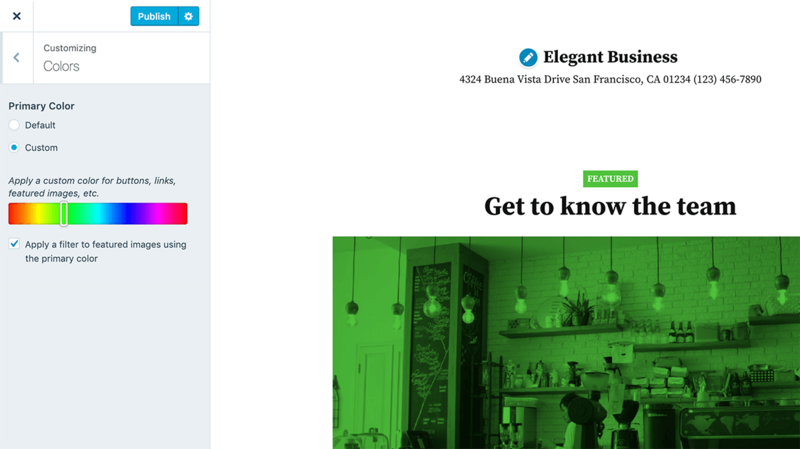 Any of these six new business themes can also be used for blogging – their demos are set up to showcase a static front page, but like our other themes, they include styles and functionality for blog posts. A number of our existing themes also have had styles added for the new block editor – they can be found here: https://wordpress.com/themes/filter/featured Though it can be used with any of our themes. Apologies! I wasn’t very clear above — any of the themes with the ‘featured’ tag, linked above, do include styles for the new editor. Are you stuck with using the “new” block editor? Or can you use the traditional editor? Both will work with these themes! However, the demo sites for these themes do use blocks, so to create a site with the same kind of content, it will be necessary to use the new editor. I’m actually fascinated by the theme used in this blog.wordpress.com. Is it available for public? We’re glad you like it! Unfortunately, that theme has some specific functionality built in that wouldn’t work well outside of this site, so it’s not publicly available. I like the Modern, Sophisticated, and Elegant themes the most. Very nice. I always enjoy looking at the new themes it’s exciting. With that being said I still enjoy my tried and true awesome theme for my photography. It’s a really cool theme WordPress.com put out. Thanks for the Finder Theme I use for my photoblog. I love it! Yes! They are all free themes. Wowsers! I absolutely love these themes 😁 Will definitely will look into this. Thank you! Nice themes. Will they become available on wordpress.org at https://wordpress.org/themes ? They’re not available there yet, but if you’re looking to use one on a self-hosted site, you can download each theme from its showcase page. Calm Business, for example, can be downloaded at https://wordpress.com/theme/calm-business, by using the link at the bottom of the page. Do they support a full content RSS? The themes I’ve been using only give you an excerpt, even if you use the content_full merge tag. These themes are beautiful! Thanks for sharing! Excellent to have such a diverse set of Themes for different business ventures. Thank you for all the information!